It’s been 9 months since I bought my Saint Laurent Nano Sac de Jour Bag in Light Grey as I got it in April 2017. I didn’t review it at the time as I wanted to give it more of a test run and then just didn’t get around to it. 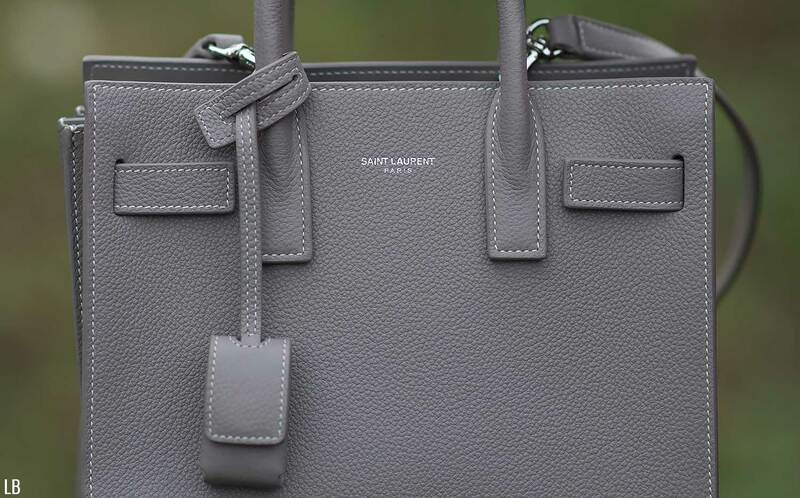 Quite a few of you requested a review though as the Sac de Jour is one of Saint Laurent’s most popular bags. It comes in numerous sizes, but this one is the Nano and it’s the smallest one from the range. I do believe that this Light Grey colour is not available anymore as it was extremely hard to find when I got it in April! The only place that had it in stock was My Theresa (where I purchased it from) and it sold out pretty fast. 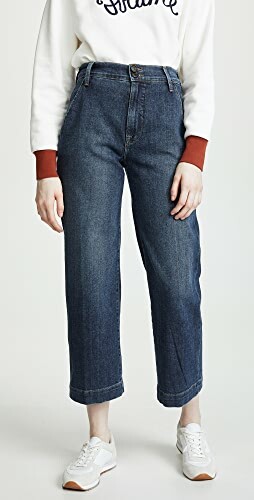 It is available in the larger size on FarFetch though (click here to see it). Since the Nano Sac de Jour is always a part of their bag collection every season, this review is relevant to anyone looking to get one since it’s always available in many different colours, day in, day out. So lets get to the review. You’re probably already familiar with the iconic Saint Laurent Sac de Jour shape. It’s very similar to a Celine Luggage style bag in the sense that it’s square with top handles, but can also be worn as a cross-body bag. What makes this one so special though is the quality in the design. You can really see how well made this bag is – even just from looking at the photos. The Nano version is a compact tote that is easily hands free and it’s literally adorable. The size of this bag is 7″ in height, 8.5″ in width, and 4″ in depth. 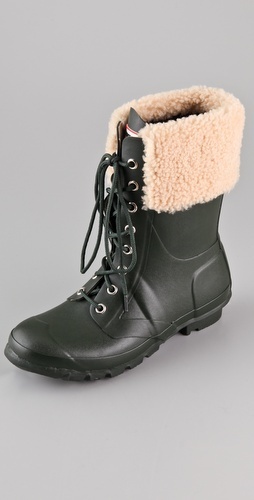 The minimum shoulder length is 39.5″ and the maximum is 46.5″ as the strap is adjustable. I will go more into that a bit further down, but it gives you a great idea of the size of the bag, plus you can see modelled photos below so you can see it against my frame. 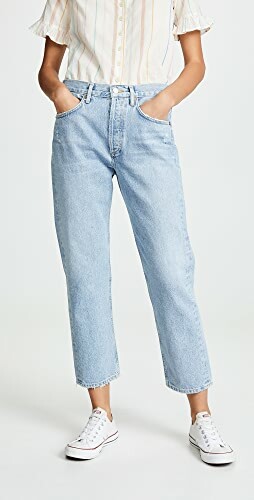 I’m 5ft 4″ and a size UK 8 on average (size 27 in premium denim). It’s the perfect size for me as it doesn’t overwhelm my frame. Surprisingly as well, it’s really light. I would say that it’s probably lighter than my Celine Nano Luggage that I have in Dune, and that’s not heavy at all, so don’t worry, it’s not heavy at all. I’m always put off by heavy bags as they hurt my arms and can dig into my shoulders, but this one isn’t. It’s pretty perfect in size, shape and weight. 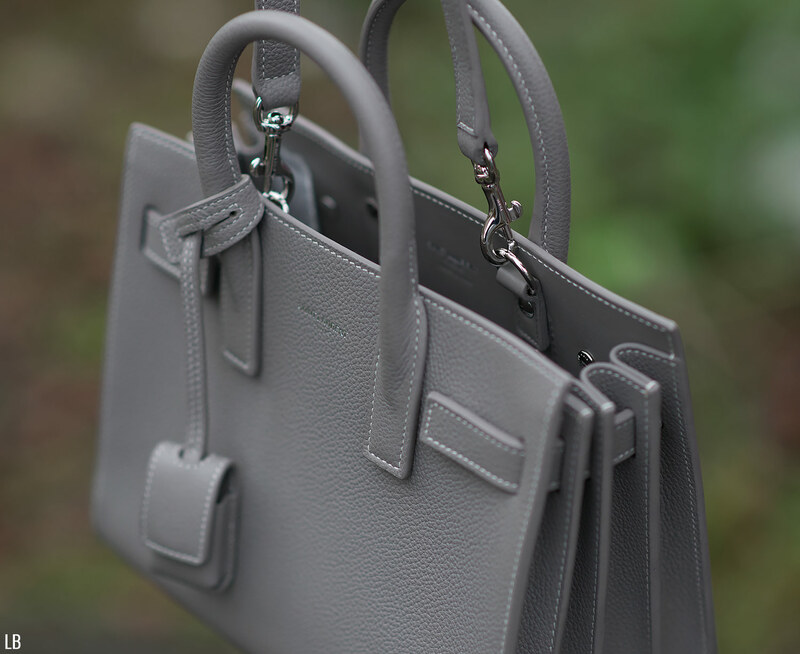 The bag is made in Italy (as all Saint Laurent products are) from leather and mine is in a beautiful Light Grey shade. 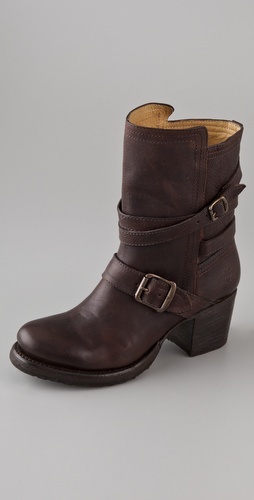 It’s extremely high quality, has that premium leather smell to it, but isn’t too overpowering. You can tell just from feeling it that it’s a beautiful bag. It’s grained on the outside as you can see and very durable. Be careful not to scratch it though as it can mark, but compared to the lamb leather of a Chanel Wallet on Chain, it’s much more robust and durable! The colour itself is actually stunning. 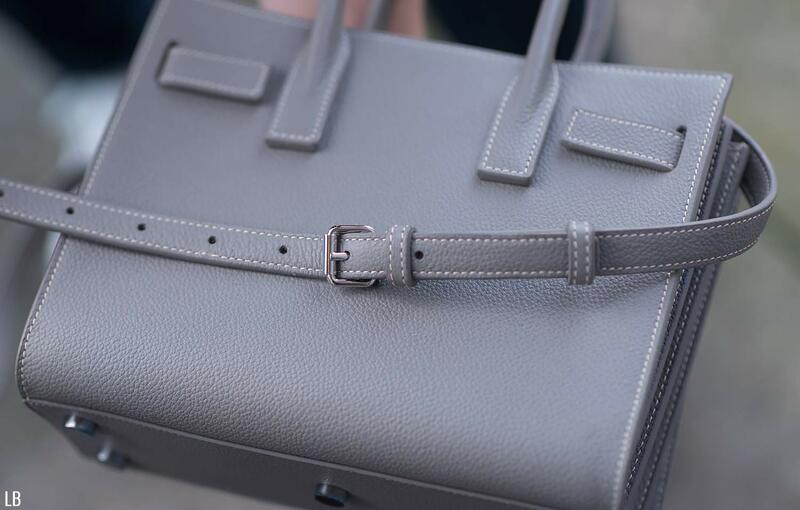 I had been looking for the perfect light grey bag for around about a year. I do have the Chloe Drew in Motty Grey, but it’s not the shade of grey that I was aiming for in terms of a light, cooler tone. When I saw this shade, I knew instantly that it would go with everything! It’s a complete neutral – it’s not a warm or cold undertone! 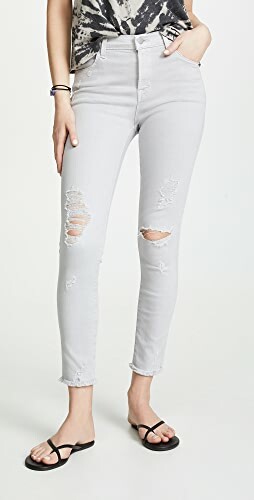 It goes with any other grey, black, white, and pretty much everything that I have in my closet (except tan). 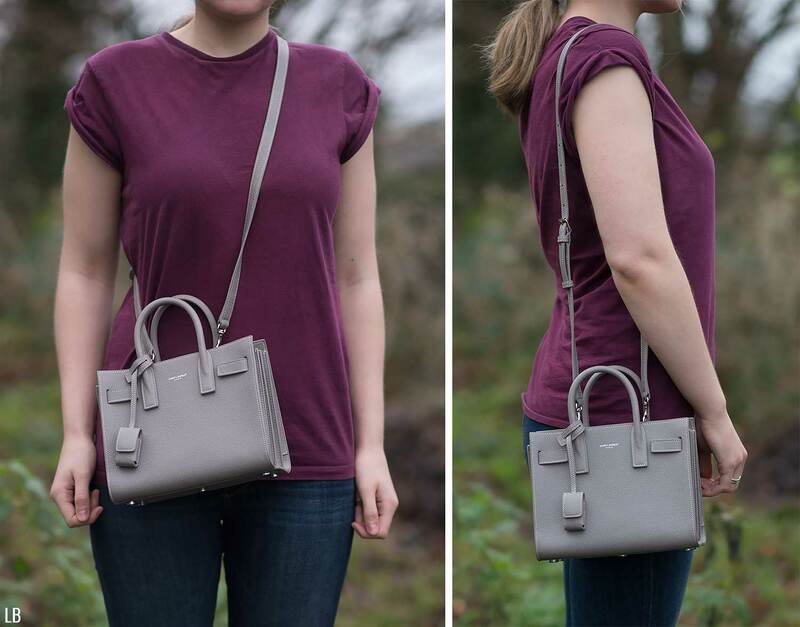 It’s the most versatile grey in a bag that I’ve seen in a long time! That’s what attracted me to it the most. The interior of the Sac de Jour is lined with leather, but it’s a smooth finished leather so it’s different to the outside of the bag. My Celine is unlined so the back of the leather is in the interior, but this one is lined, but very minimally and basic. It’s stamped with the Saint Laurent Paris logo and embossed with ‘Made in Italy’ just underneath it. Other than that though, it has nothing else inside. It’s open, has no zipper, no internal pockets or slips etc, so it is very much like the Celine, minus the zipper. It really is a mini version of a tote so it’s easy to find your items since it’s small. The quality of the bag though overall, I seriously cannot fault it. The stitching as you can see is absolutely perfect in every way. It’s an off white shade so it blends nicely with the Light Grey, but also slightly contrasts it as well. Everything is symmetrical and very well made – it’s a true beauty. I know you’d think that it should be because of the price, but trust me, I’ve seen many designer bags that retail over £1000 and their quality is sub-par compared to others. I always rate Louis Vuitton for quality (see my Fuchsia Alma BB Epi review here) and I would put Saint Laurent close to that with the quality. It’s a much better quality than Chanel for example, which is shocking isn’t it? But from the stitching to the design and the way everything is constructed, plus the finishing of the leather seams – it’s all perfect. Now the bit that you’re probably most interested in – the design and the details! The Nano Sac de Jour features a detachable padlock which is covered in a leather pouch (this is what hangs off the front). You can un-loop the fastener so you don’t have to have it on, but to access the padlock you just open the flap of the pouch and it’s inside. Mine is silver to blend in with the colour-way. I wasn’t sure on the point of this padlock on the Nano since there’s no zipper or anything to attach it to to lock up, but I think it’s still there as a compact version of the larger totes. I couldn’t even find a key either, so I think it’s purely aesthetic. The sides of the bag are in a fan/concertina design, which I absolutely love as it makes it unique, but the best part about it is that the little strap of grey leather that goes through it can be undone, to stretch the bag out wide! It fastens down to the front and back of the bag with poppers/snap buttons so you just need to undo the poppers and you can pull the sides of the bag wider if you wish. It is a bit stiff though when I tried and it was hard to get the sides exactly the same again when I pushed them back, so I just keep it as it is now as I don’t need to stretch it out. 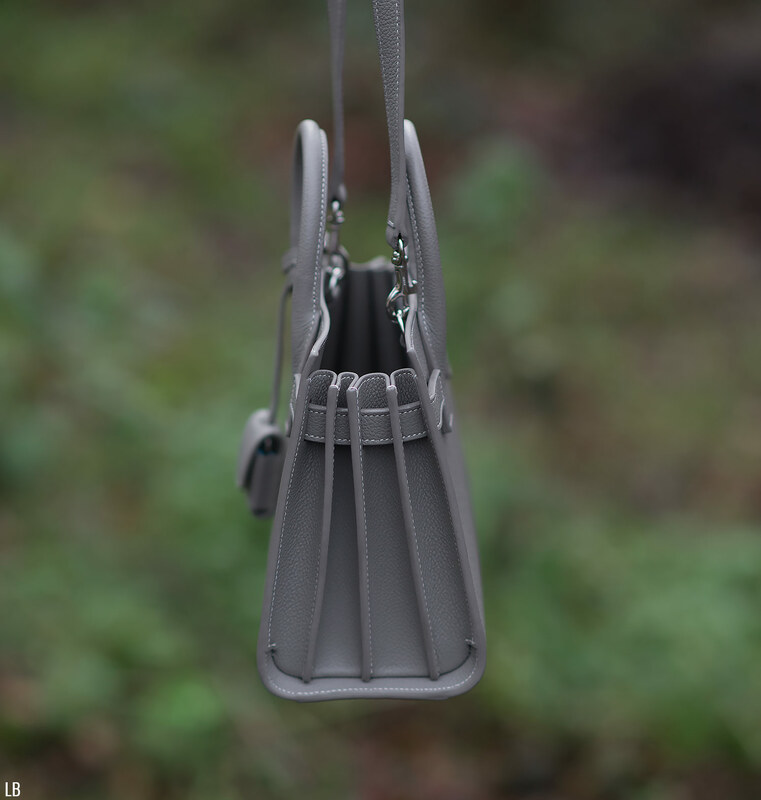 There’s 5 silver studs on the bottom of the bag too which protect it from any hard surfaces when you put it down. 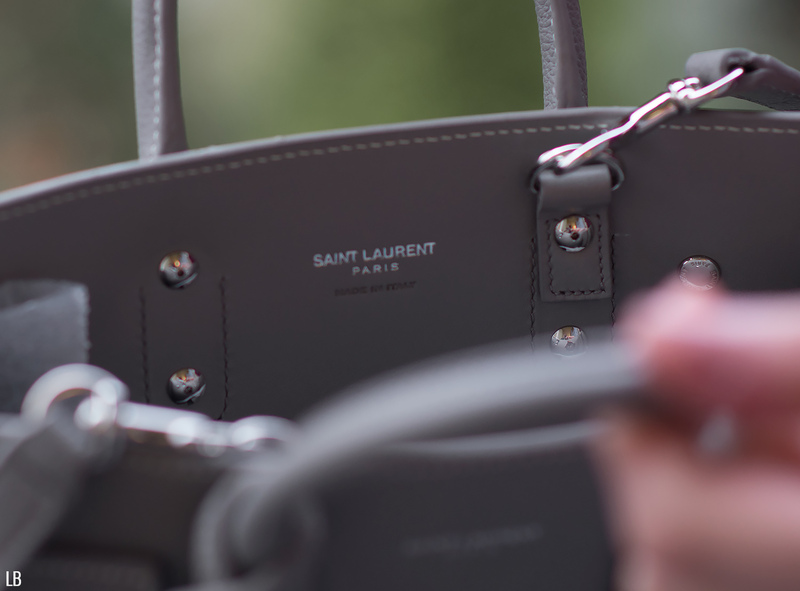 All the backs of the rivets are embossed with the Saint Laurent logo, as are the clips that attach the strap (which I will talk more in detail about below). Other than that, I think it’s really fancy, but in a muted and understated way. 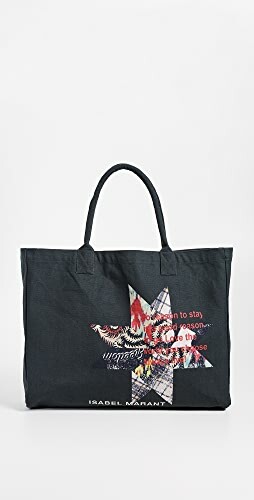 It’s a gorgeously designed bag with fantastic details on it, but it’s not over the top as it’s minimal too. It’s very versatile! I wanted to do a section fully dedicated to the strap because it wasn’t my favourite part of the bag and almost made me return it. I have issues with it and depending on how you feel about it, you might be the same. My complaint is where the strap attaches to the inside of the bag. For some reason, Saint Laurent placed the hooks right by the handles, either side. Perhaps from an internal design point of view this seemed logical and neat, but from a wearing point of view, it’s not great. I would have much preferred the hooks to be at the edge of the bag on either side. I understand it can’t be on the sides because the bag is expandable in width, but at least on the very end of the front and back panel would have been ideal. I’ve seen some Nano Sad de Jour bags with the placement there, so I’m not sure why they changed the design and placed it by the handles. My issue with this position is that when you wear it cross-body, it looks really awkward and messy. Wearing it on one shoulder isn’t as bad, but it makes the bag tilt up and down a lot so it doesn’t stay straight. It was my one pet peeve about it and I honestly was so close to returning it. I decided to keep it though as I loved how it looked without the strap and it was perfect in every way, plus I had ordered it with discount on My Theresa which rarely happens. Since the strap was easily removed, that’s why I kept it and have mostly worn it without it. 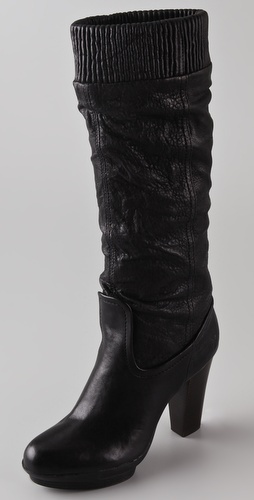 Why oh why Saint Laurent did you do that? I love the placement of my Celine strap as it’s on the ends, like it should be, so I don’t get why they changed this one. You can see what I mean from the photos below about how awkward it looks with it being hooked to the handle area. What’s your opinion of that? It is a belt strap though and adjustable in length which is great, so it doesn’t matter if you’re tall or petite – it will work for you. Like most cross-body bags, there are 3 ways to wear them when they’re mini sized. Cross-body, on the shoulder, and held in your hand. This one is too small to fit on the crook of your arm as it’s a Nano (unless you have really tiny arms). In order of preference for me, it’s held in the hand first, then on the shoulder, and a last resort just for carrying purposes would be cross-body, but I avoid that as much as possible because of the strap placement, which kind of contradicts my love of these style bags and how I prefer to be hands free most of the time. 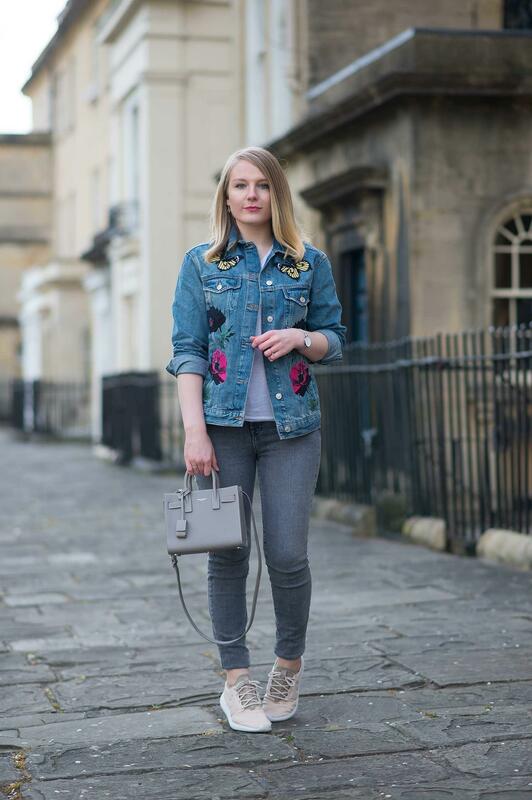 I’ve published 3 different outfits on my blog here to show you that it goes with so many different things! I’ve worn it more than 3 times though. I know there’s a lot of grey in my outfits above as I am a huge fan of it, but it does go with so much and it’s easily dressed up or down as you can see. 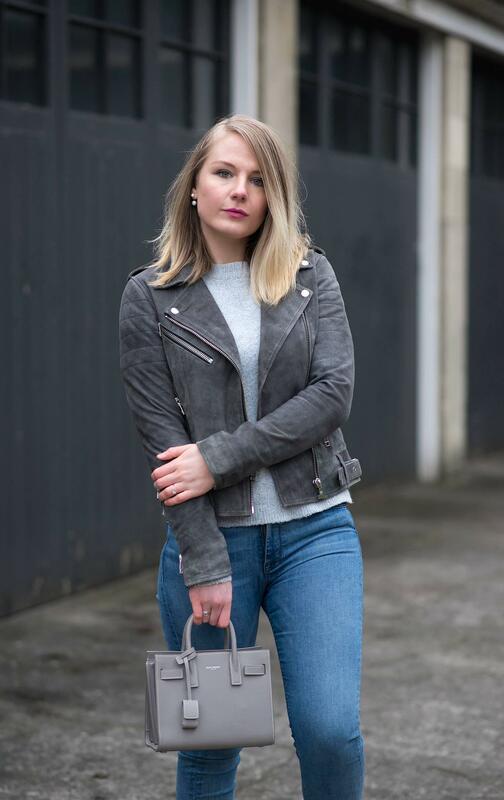 It’s a great bag for pairing with leather jackets and skinny jeans, dressed down with flats, but as it’s classy, it looks great with dresses and formal wear too (just don’t wear the strap). So based on that, it’s easily one of the most versatile designer bags that I own in terms of how you can wear it and all the possible outfit combinations it goes with. 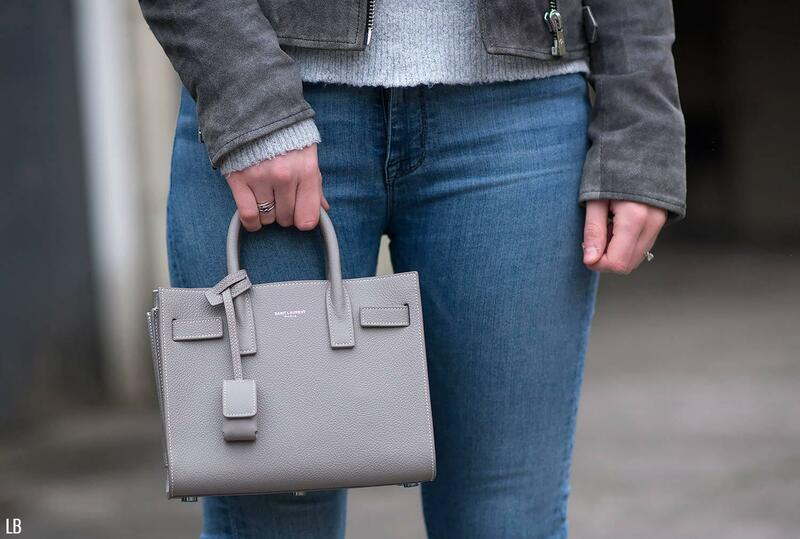 It’s a staple for a reason and one of the most coveted bags. My overall score in this Saint Laurent Nano Sac de Jour review would be 8/10. 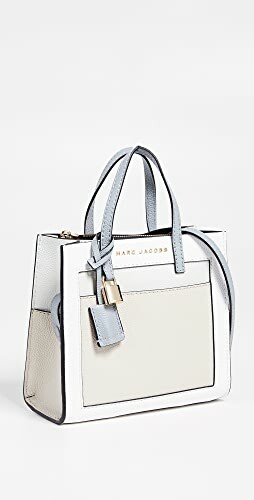 I would honestly give it 10/10 if the strap connected on the edges of the bag, but since its award placement is behind the handles, it knocks off 2 points for me at least. It’s such a shame that it’s not ‘perfect’ for me because it really is perfect in every other way. I love the size, the quality, the design, the shape, the weight, the versatility… there’s nothing else that I can fault. I just don’t know why they have this placement on some of the Nano Sac de Jour’s and not others! 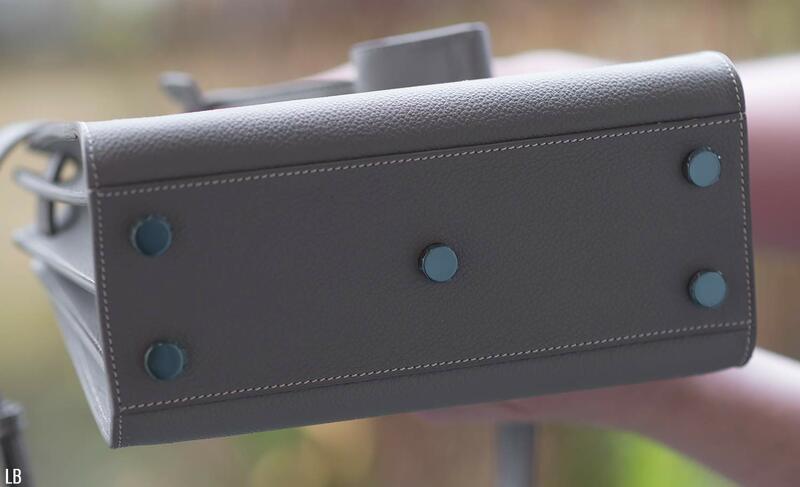 If it would bother you, when buying online just check the photos to see where the straps connect inside because it’s only some of them that have this placement. Plenty of others are near the edges, which in my opinion looks better. But it is just that, my opinion. It might look completely fine to you. Otherwise, it’s stunning and I seriously recommend it as a bag, it’s so beautiful and it makes me want the light brown version too! P.S. – I embedded someone else’s video below of a Nano Sac de Jour with a better strap placement. Nice bag, fits well mostly with your grey jeans. Saint Laurent is the name of the street where i live ! Since 2 days, we are in the biggest winter storm since 2008… Your last picture on instagram, with sunglasses taken in summer, is welcome and makes my day! Bye. That’s really cool you have a street named that! i will prefer to live on Burford street or Lorna Boulevard ! Again, your last pictures on Instagram makes me crazy ! Good to see you without winter clothes ! Bye. Yeah the pink is gorgeous! That looks like a fabulous bag! 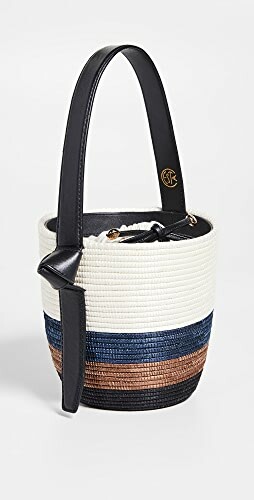 My Coach bag (similar design but in black) has the long strap placement in the same place. So very awkward. It wouldn’t take much to place the hooks at the ends of the bag, and would make carrying on the shoulder so much aesthetically better. Why do they do that?! I’m 5’10” and the strap is the main thing I consider. It’s correct placement is so important. Bag designers: please take note! Oh that’s annoying your Coach bag is the same! I have no idea why they do it, hopefully they might listen and stop doing it! Hope that this first week of 2018 went well for you and you’re having a good weekend. We’re having a quiet weekend here. Yeah, it’s super awkward! I don’t think it would have taken much for them to put the straps towards the ends so it’s more on the sides and hangs better. Would definitely be more beneficial! I hope 2018 is good for you too! It really is a beautiful bag! I can see what you mean by the akward placement of the strap, and that would really bother me. This review was excellent. Happy New Year Lorna!! Great review and such a beautiful bag. I would love a Saint Laurent bag! The selection of outfits in this entry are all excellent, of course – and especially the one featuring the scarf. Do you prefer this over the Celine nano ? Hi Kay, I think I put in the review that I didn’t, my Celine Nano is my favourite! Shop Blue Dresses, White Blouses And Tops, Black Lace Bralettes, One Pieces Swimwear and more. Get this widget.